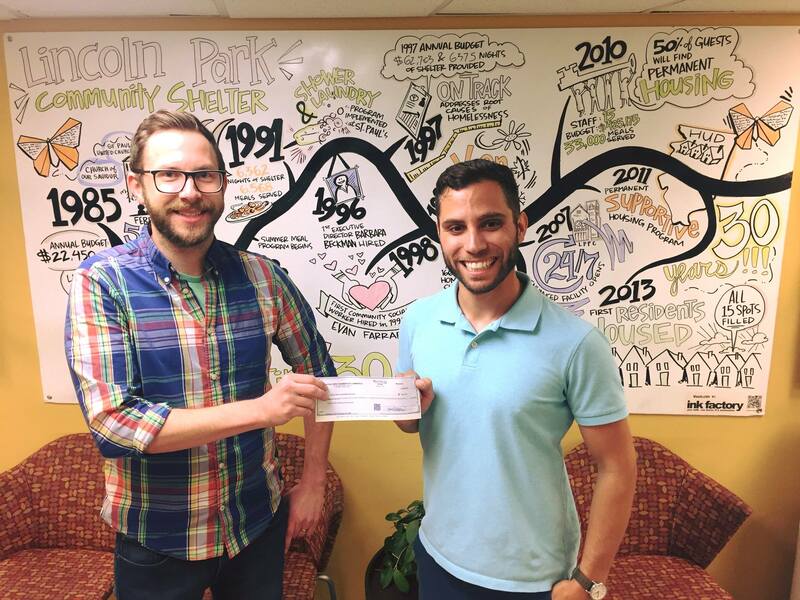 On Tuesday, July 31, we were thrilled to present Lincoln Park Community Services (LPCS) with a check for $600 from this year’s Cravings on Clark proceeds. The annual restaurant crawl raised funds to help support the LPCS mission in bringing communities together to empower individuals facing homelessness and poverty to secure stable housing and make sustainable life changes. Click here to learn more Lincoln Park Community Services.